SOLD 1999 34' Damon Daybreak 3270 powered by a 6.5 litre diesel engine, giving great economy and easy refuelling. 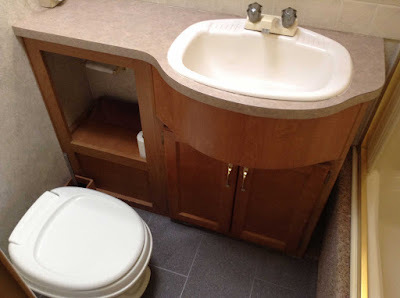 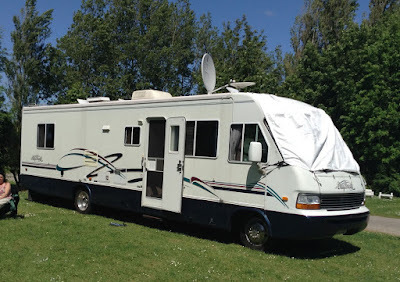 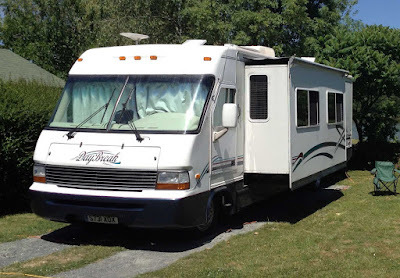 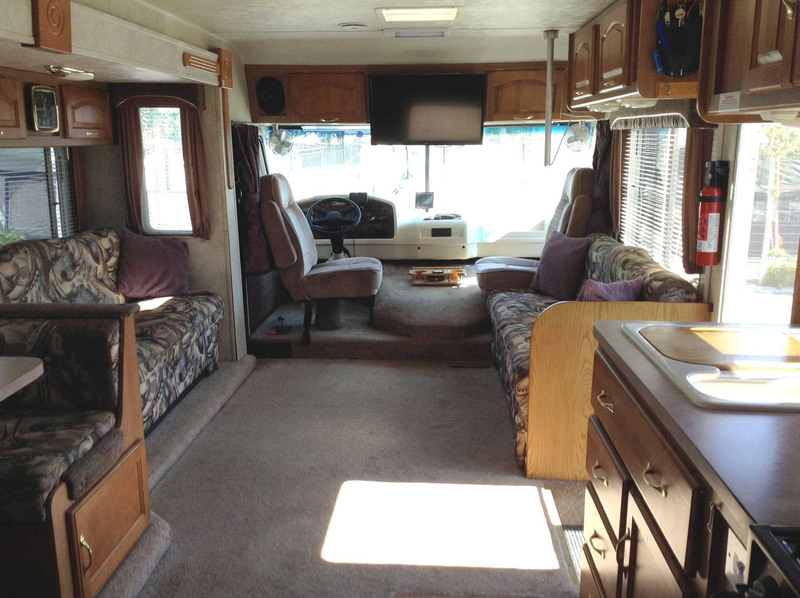 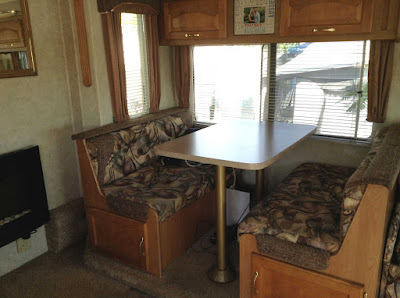 Has all the usual luxury that you would expect from a well cared for American motorhome. Benefiting from a large lounge / dinette slide out, the main living area is spacious. 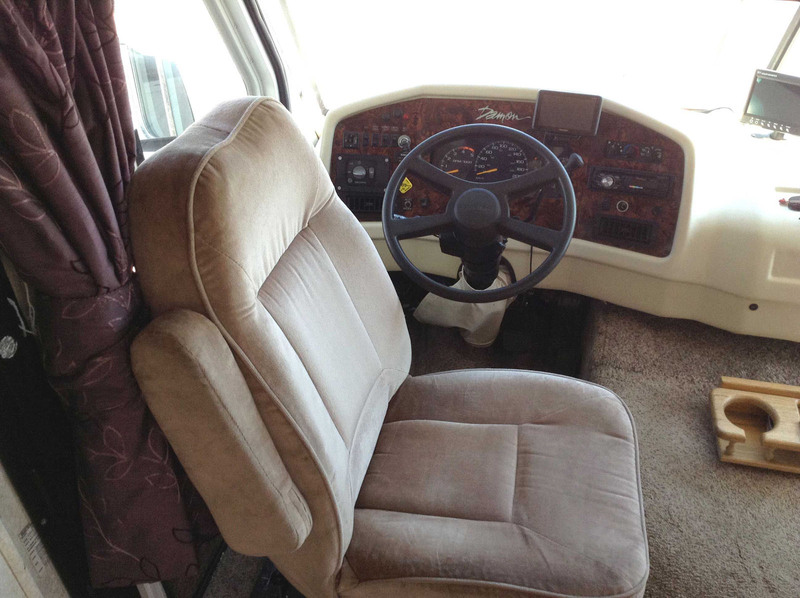 Opposed three seater sofas and revolving captain's chairs provide ample seating. 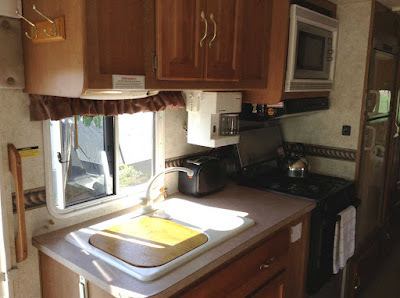 The kitchen is opposite the 4 seater dinette and has a gas hob, oven, large refrigerator, microwave etc. 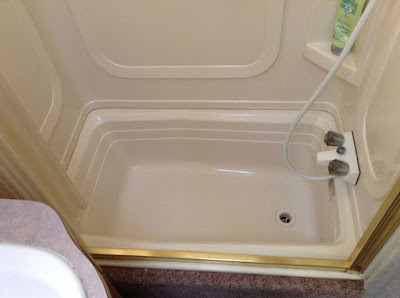 Separate bathroom with shower, toilet and wash handbasin. 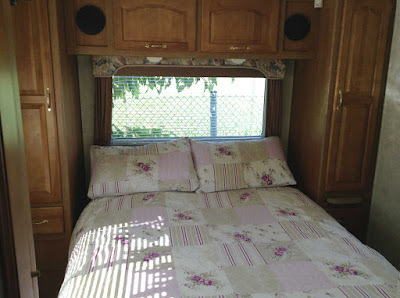 The bedroom has a queen size bed with hanging wardrobes. Air conditioning and heating throughout. 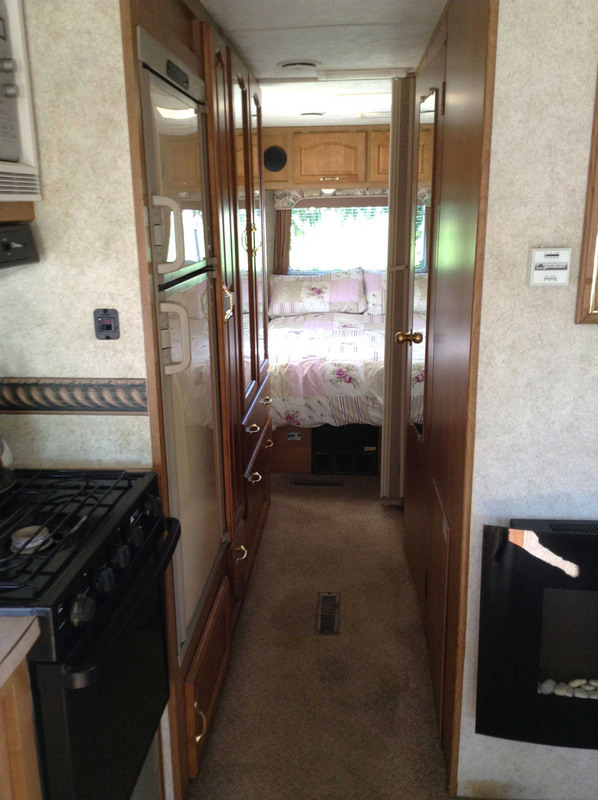 Tons of storage space inside and in the 'basement' lockers. 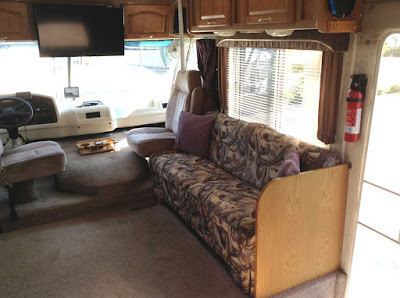 Additional features include: cruise control, tilt steering wheel, privacy curtains, cab fans, in-dash CD player, water heater, 240v electrics, power step, window blinds, a generator (for total independence), a reversing camera and six berths. 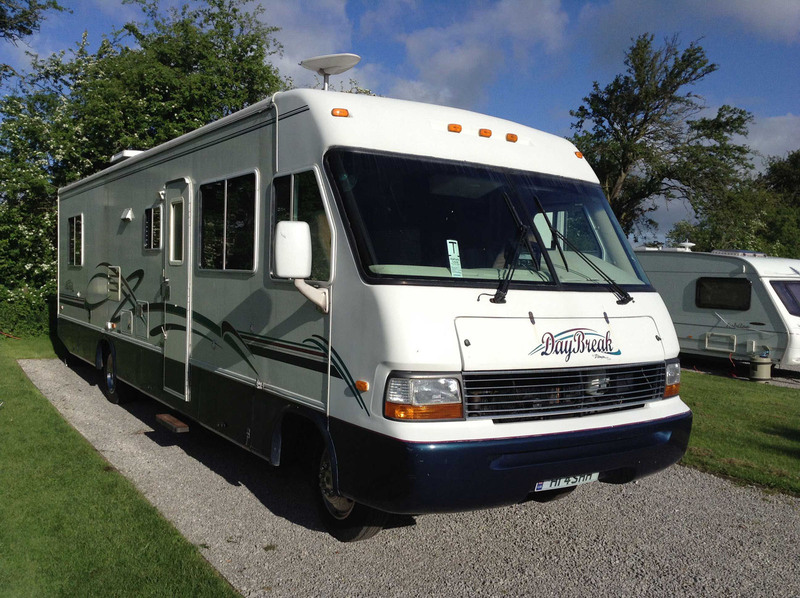 Everything works and this motorhome is ready to go! Runs great (we know because we drove it from south west France to Barcelona and then from Barcelona to it's current location near Alicante.